Anna Sterky belonged to the first generation of trade unionists and politically active women within the Social Democratic Party. She was originally from Denmark and started her career in Copenhagen in the 1880s. For several decades she was a part of the leadership within the women’s trade union movement and within the Social Democratic women’s movement. Anna Sterky was born into an extremely poor family in Fredriksberg parish in Copenhagen in 1856. She was the daughter of Jens Nielsen, a labourer, and his wife Karen Hansen. She was the youngest of eight siblings and, just like other working-class girls at the time, she was required to contribute to the family income from an early age. She began by helping her mother who was a home-based seamstress and, after completing seven years of schooling, she became employed within the tailoring trade. In 1878 she married Peder Jensen, a supervisor, but by 1893 their marriage had been dissolved. Anna Sterky began to lobby for women’s participation in trade unionism at an early age. The female tailors’ trade union was established in 1883, and she initially joined as a member, but two years later she was its chair. This also meant that she became part of the leadership of the Danish Landsorganisationen (trade union confederation). As the sole female member she was a participant in the Danish Skrädderiarbetareförbundets (association of tailors) congress in 1889. The following year she was one of only three women who gave speeches at the Danish Social Democratic celebration of “grundlovsdagen” (constitution day). Also in 1890, at a Scandinavian workers’ congress in Kristiania (Oslo), she met Fredrik Sterky for the first time. He was one of the leading men within the Swedish Social Democratic Party. They became a couple and the following year they travelled to Sweden together and entered into a so-called common-law marriage, which meant that they lived together but were not legally married. Fredrik Sterky was remarkable within the male-dominated Social Democratic Party for his strong advocacy of gender equality, and for his continual criticism of the lack of interest the pioneers of the workers’ movement showed in that matter. When Anna Sterky came to Sweden, female workers had just started to organise. The few socialist women’s associations and women’s trade unions which had been set up towards the end of the 1880s had been dissolved. The only Social Democratic women’s organisation which was active for most of the 1890s was Stockholms Allmänna kvinnoklubb, which had been established in 1892. After the turn of the century women started organising more seriously, at which point Anna Sterky became one of the leading figures thanks to her already extensive experience of organising working women. The Sterkys lived in Gothenburg from 1892 to 1898 as Fredrik Sterky had been appointed editor of the Ny Tid newspaper there. Anna Sterky handled the newspaper’s administration. However, circulated notices also indicate that she maintained her own trade union and political activities. For example, the Social Democratic club in Gothenburg, which had previously been seriously opposed to accepting female members, allowed her to become their first female member as early as 1892. The following year she gave a public speech to the club on the theme of “Socialism, women, and the home”. The next time her name appeared in a public context was when she get involved in organising female glovers. When Svenska handsksömmerskeförbundet (Swedish association of female glovers) was established in 1898 Anna Sterky became its chair. In 1898 Fredrik Sterky was appointed as the first chair of the newly set-up Swedish Landsorganisationen (LO, trade union confederation) and this entailed a move to Stockholm for the Sterkys. Anna Sterky worked voluntarily as a secretarial assistant in the LO administration whilst also continuing to organise women’s trade unions. She suffered a great personal loss when Fredrik Sterky died in 1900, aged only 40, as a result of a chest infection. She then withdrew from working at LO in favour of paid employment in the Social Democratic Party administration, where she would remain until 1925. In the early years of the twentieth century more and more working women began to organise themselves in trade unions and politically. Until 1907 Anna Sterky was most occupied with organising women into trade unions. She was often involved when new women’s trade unions were set up and she was often called up as a speaker at public meetings. When she, at a meeting for Stockholm’s “tjänarinnor” (female servants) in the beginning of the 1900s, highlighted their awful working conditions and encouraged them to become organised it gave rise to an intense newspaper debate and protests from bourgeois housewives. For a time, during the first decade of the twentieth century, there were two entirely female trade unions in Sweden. One of these was the aforementioned Handsksömmerskeförbundet, of which Anna Sterky remained the chair until 1905 when the association was merged with Svenska handskarbetereförbundet (Swedish association of glove makers). The other was Kvinnornas fackförbund (women’s trade union), which had been established in 1902 and aimed at organising female workers who for one reason or another could not join other larger mixed associations; this primarily applied to seamstresses of various types, but also included other groups of workers such as laundry women and “baderskor” (maids who helped with bathing). From 1903 to 1907 Anna Sterky was also chair of Kvinnornas fackförbund, and as such she instigated the establishment of the newspaper Morgonbris. She served as the paper’s editor from its inception in 1905 until 1908. Those who, like Anna Sterky, advocated the organising of women into trade unions often faced harsh opposition from employers and the male-dominated workers’ movement, but also from women. Women were poorly paid, worked double jobs, and risked losing their jobs if they became organised. When Anna Sterky represented the two purely female trade unions as their chair she was frequently exposed to direct opposition from other trade unions. This was partly to blame for their dissolution in 1905 and 1909 respectively. As long as purely female trade unions existed, women automatically had a place in LO’s representation. Between 1904 and 1906 Anna Sterky served as a representative for Kvinnornas fackförbund and she was the only woman in the assembly. After the two women-only trade unions had been dissolved Anna Sterky shifted her focus on her political activism. A nationwide Social Democratic women’s movement began to take shape in 1907 when representatives of Social Democratic women’s clubs and female trade unionists from across Sweden gathered for a conference. Anna Sterky was a key figure in this event. She was tasked with important duties within the working committee, which later became the central committee, established in order to co-ordinate the Social Democratic women’s clubs’ activities inbetween congresses. Anna Sterky was chair for the 1907-1908 period, secretary until 1914, and subsequently chair once again. She remained in post until 1920 when the Swedish Social Democratic women’s association was set up. There continued to be resistance within the Social Democratic Party towards engaging with or highlighting women’s issues. Women’s suffrage, the rights of unmarried mothers and their children, women’s rights to work, and a reform of the old-fashioned marriage laws were the issues which most engaged Anna Sterky. She initially supported the Social Democratic Party leadership when they sought to delay women’s suffrage until universal suffrage for men had been achieved. However, when the party continued along these lines even after the fall of the Liberal government in 1906 she became one of the many who publicly protested. She also opposed the proposal to introduce a ban against working at night for female industrial workers which was proposed in 1906 and then enacted in 1909. The proposal had the support of Social Democratic parliamentarians despite the opposition of many Social Democratic women. Anna Sterky was one of the most visible among the opposition, and her main argument was that there was no need for this type of law. On the contrary, this law would disenfranchise the more qualified female workers, in particular female typographers, from their livelihoods. 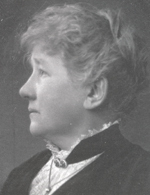 Anna Sterky was particularly active in efforts to improve unmarried mothers’ conditions. At the 1905 congress she proposed that when a man abandoned a pregnant women he should be judged as harshly by the party as a strikebreaker would be, which can be seen as an attempt at politicising close relationships between the sexes. However, in this she was ahead of her time. Anna Sterky sometimes expressed her disappointment with the party’s unjust treatment of women and women’s issues in some of her more personal writings. When the Social Democratic women’s association was set up in 1920 she decisively rejected standing for re-election. She felt the role should go to a younger, less “scarred” candidate. Anna Sterky died in Stockholm in 1939 and is buried at the Norra cemetery in Solna. There is a relief of Anna Sterky at Norra Bantorget outside the LO-building in Stockholm. Ane (Anna) Cathrine Sterky, www.skbl.se/sv/artikel/AnnaSterky, Svenskt kvinnobiografiskt lexikon (article by Christina Carlsson Wetterberg), retrieved 2019-04-19.